There is no secret now that Roush/Yates is back in drag racing with the recent announcement made in regards to building Justin Humphreys' Pro Stock engines. Though the team at Roush/Yates doesn’t want to just stop there, and have announced a partnership with Aeromotive on building their 2010 race engines for their 2010 Mustang. Though this isn’t a high RPM screamer, this is a twin turbo derivative of the 500ci Pro Stock engine for use in NHRA Pro Mod competition. Showing their diversity in their engine program is what we believe made Matusek’s 2010 program an exciting one for RYE, allowing Roush/Yates to show that they can build anything you throw at them. “Our involvement in drag racing is a natural progression for us,” said Roush Yates CEO, Doug Yates. “We are looking to grow and diversify our offerings, while maintaining the competitive edge that has set us apart in other forms of racing,” Yates added. When looking at the rendering, it might confuse you by seeing zoomies on a twin turbo car. They have found through Brad Personett’s ’68 Camaro that doing this helps considerably with downforce, and will be constructed from one piece of metal on each side. Additional changes made by Larry Larson will be the double frame rail chassis, versus the previous single frame rail. “I am going to take what we have learned from building Pro Mod cars over the last few years to build the new chassis, which will also have a longer wheel base”, Larson said. “We will be running this car on alcohol, so we won’t have to worry about mounting intercooler parts”. Larson hopes to have the car ready for paint in three months, and will be pleased if the car sees the track by June. The 2010 Mustang will be primarily an NHRA Pro Mod car, though they will probably run some NMCA races, and maybe some ADRL races if the short times on the Mustang look good. Matusek's Pro Stock body before leaving Ford. Mooresville, NC – February 2010 – Roush Yates Engines is proud to announce their participation in the 2010 drag racing season. Roush Yates Engines (RYE), well-known for their precision engines and dominance in NASCAR, ARCA and more recently Grand-American Racing, has announced their introduction to drag racing with two new exciting programs for the 2010 NHRA Drag Racing season. Roush Yates Engines’ first endeavor puts them right into the throws of NHRA Pro Stock. Justin Humphreys, current NHRA Pro Stock driver, will campaign a 2010 Ford Mustang powered by Ford’s new 500 cu. in. power plant, built and developed by RYE. Humphreys, who has competed in NHRA Pro Stock the last 3 seasons will be the first to campaign a Roush Yates Ford engine in NHRA Pro Stock. “Our involvement in drag racing is a natural progression for us,” said Roush Yates CEO, Doug Yates. “We are looking to grow and diversify our offerings, while maintaining the competitive edge that has set us apart in other forms of racing,” Yates added. RYE plans to utilize existing technology to produce engines at the highest level for both professional and sportsman drag racing. In fact, General Manager of Roush Yates’ NASCAR engine programs, George Gable is building a C-Altered to compete in NHRA Comp Eliminator using the RYE 358 cu. in. spec engine for the ARCA RE/MAX Series. Look for more announcements and developments like these from RYE in the coming months. 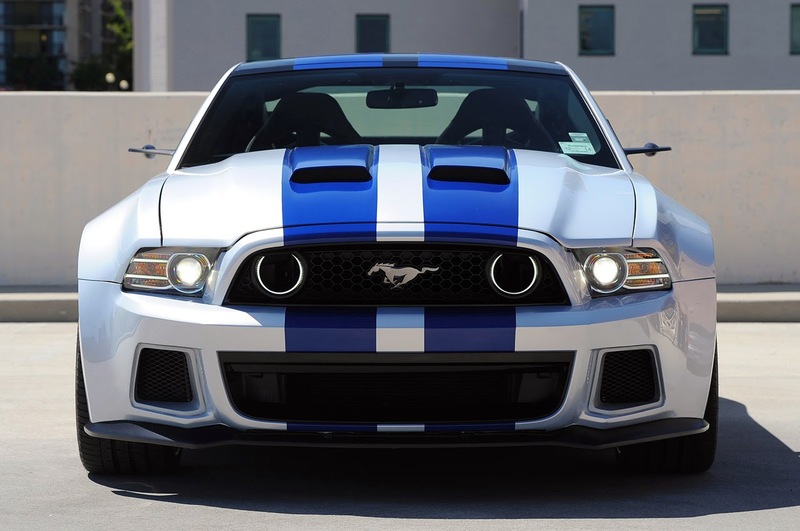 Roush Yates Engines designs, engineers and crafts high performance racing engines with the power to perform and the horsepower and durability you’d expect from legendary NASCAR pioneers Jack Roush and Robert Yates. At Roush Yates Engines, the mission is Power Performance, which is achieved through innovative design, precision engineering and skillful craftsmanship. Building the best engines in racing today, providing service that’s second to none and honoring a commitment to research and development are at the heart of Roush Yates Engines. This entry was written by by mark@stangtv (Stang TV Forums) and posted here on Wednesday, February 3rd, 2010 at 12:05 pm and is filed under Vintage Mustangs. This article was not written by us, rather gathered using RSS feeds listed here. We take no credit for this article. Both comments and pings are currently closed.